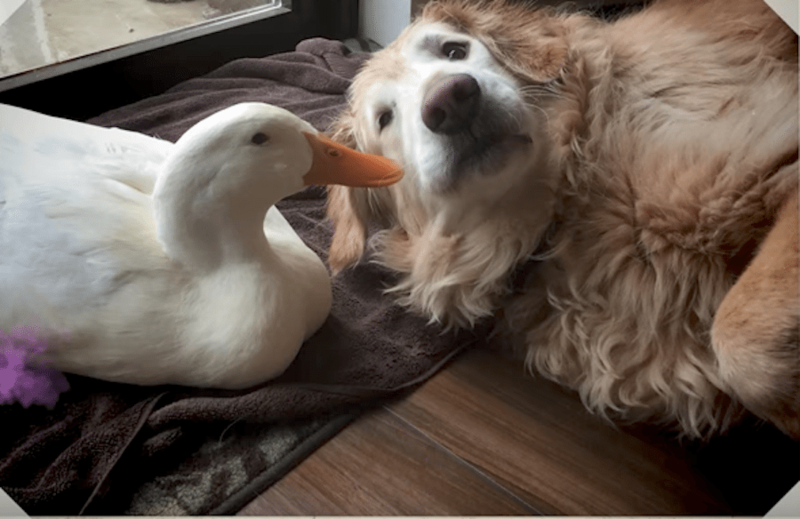 Ducks and dogs can be best friends! 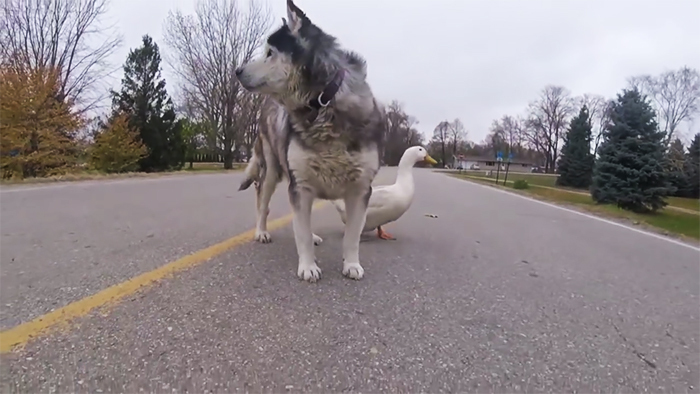 It may sound hokey, but there are several examples of situations where ducks met dogs and lived happily ever after. 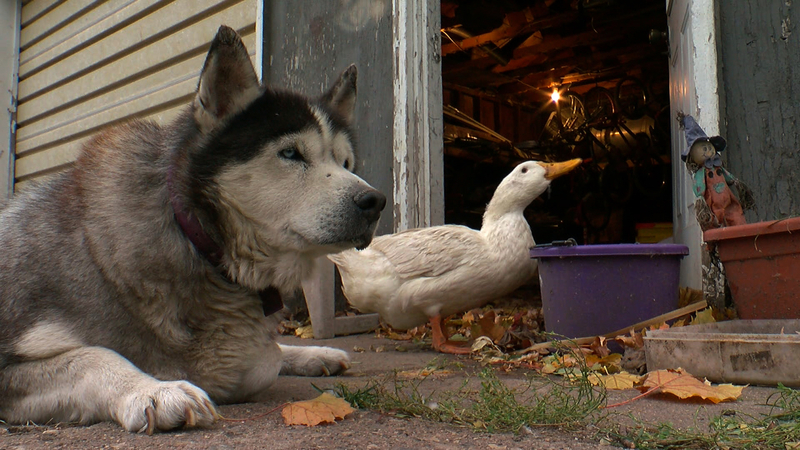 The most recent is the relationship between Brody and the lone survivor of a duck litter. Read on for four amazing Duck Tales! 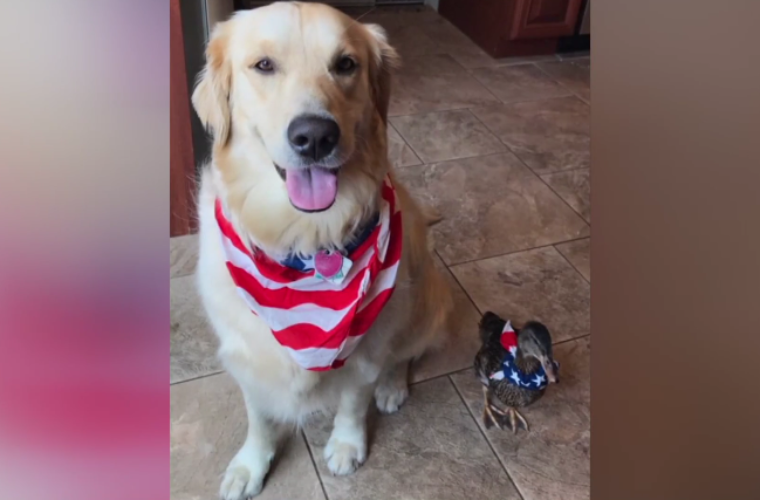 In Oceanside, N.Y., a dog named Brody has a new best friend. The duck was the only surviving egg in a nest where no mother duck could be found. Twelve-year old Tommy Bentsen found the empty nest and followed instructions on how to hatch the eggs in 28 days. Sadly, only one duck survived. However, Brody was ready to step up and mother the duck on his own. 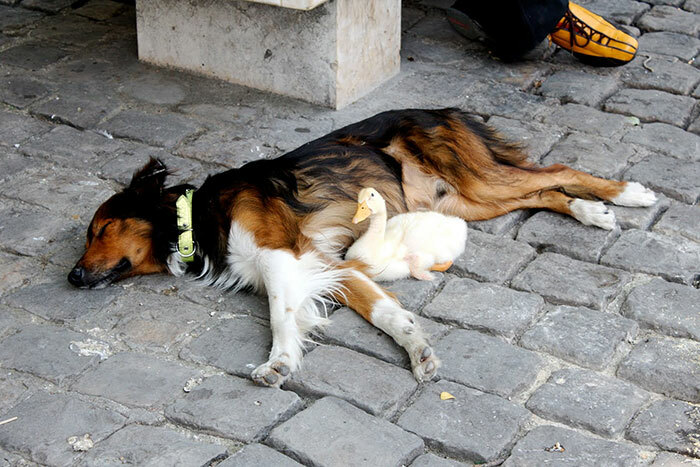 The dog never leaves the duck alone. 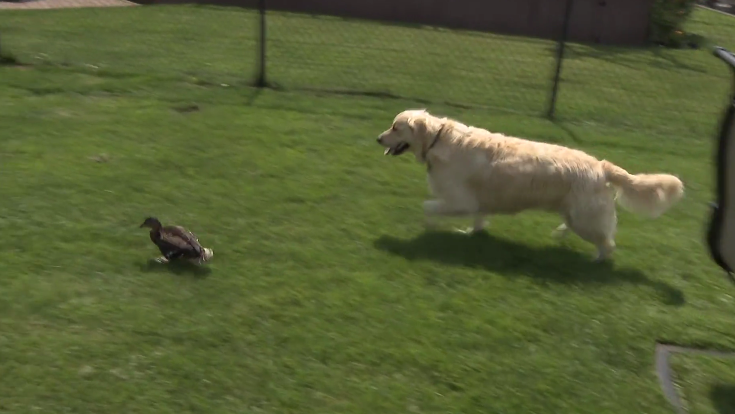 Brody clearly thinks of himself as the mama dog, despite being a Golden Retriever while his charge is a Peking duck. According to the Bentsen family, they tried to release the duck into the wild but the other ducks don’t accept her. So she just keeps returning to their house, where her best friend is always thrilled to see her. Now the duck is part of the family. Their shared love of food has now transformed them into an inseparable duo. 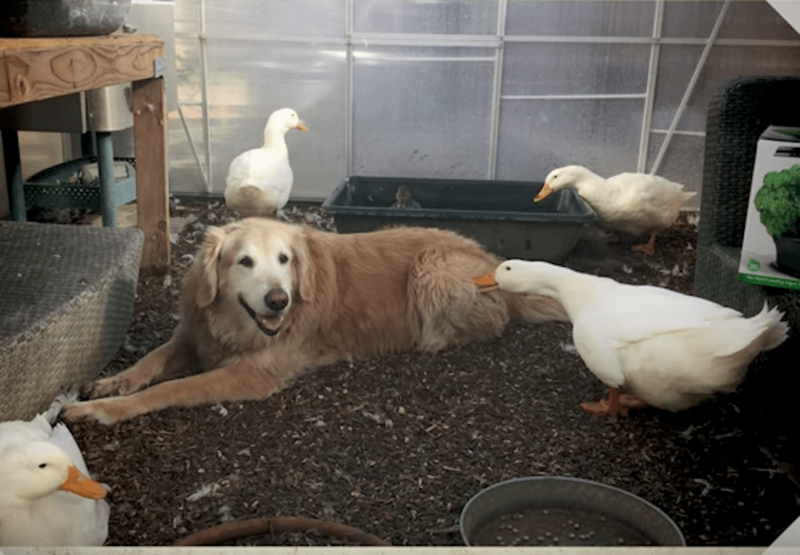 Of course Barclay also enjoys the other six ducks that live in the barn. Here he is just having some hangout time with his crew. In Minnesota, something similar happened. 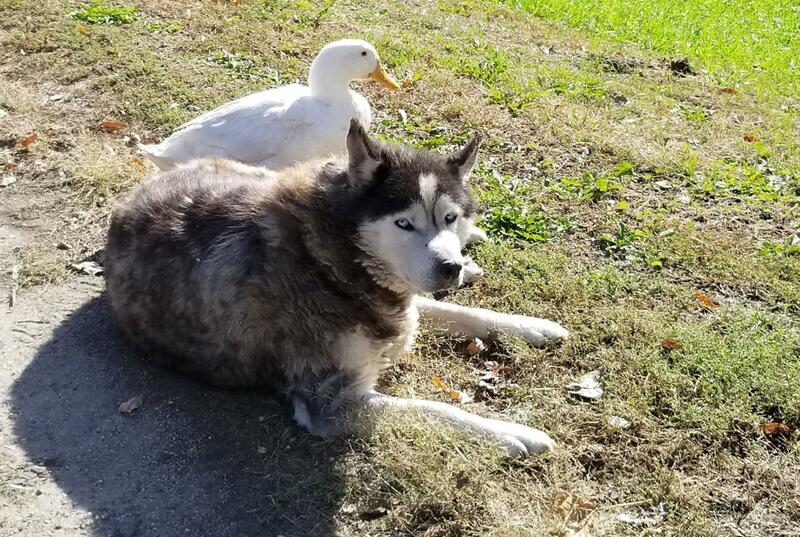 Max the 12-year-old husky and Quackers the 4-year-old duck live along a country road in the tiny town of Strout, population 22, where drivers often stop and stare at the dog and duck snuggling together. 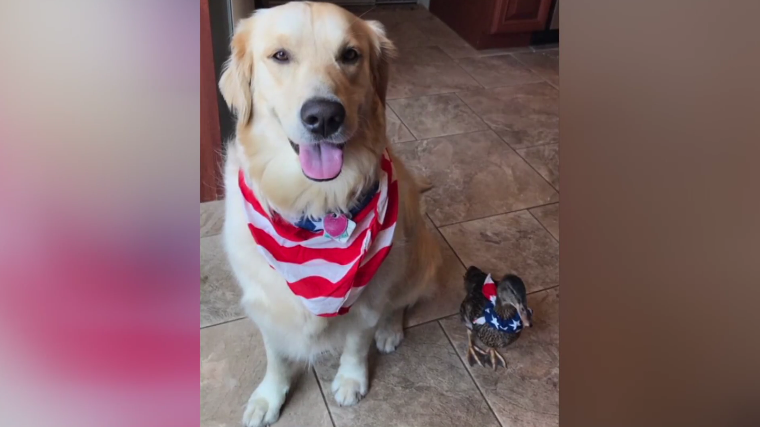 According to WCCO, Max and Quackers have been old friends for years. 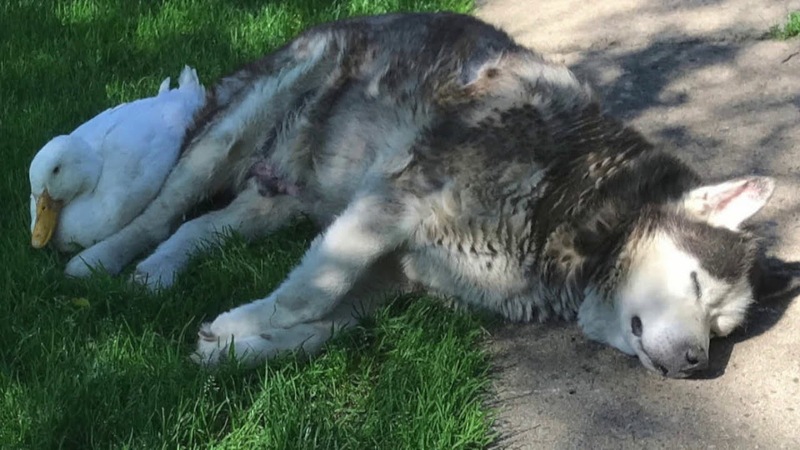 Max was once paired with another husky named Sasha, but when she died he was alone and sad. 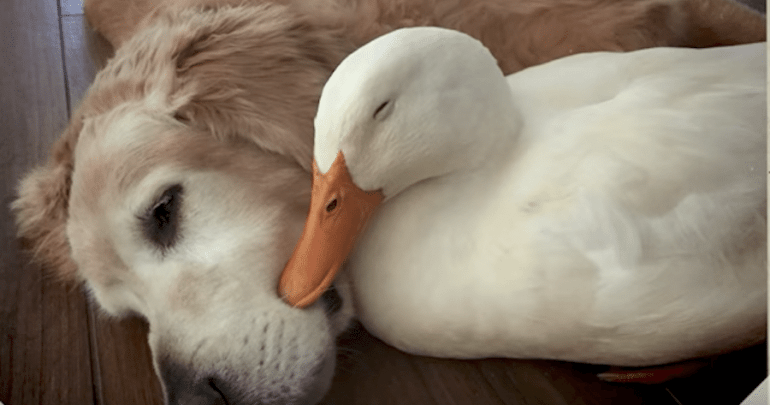 When the family adopted Quackers, the duck imprinted on him and he loved her immediately. “They sleep together, they eat together, they drink together, and they go for walks together down the road. Everything is together,” Kirsten said. They sleep in the garage together and the family often hears the sounds of webbed feet and dog paws at the crack of down. Now the two stop traffic with their adorableness. “We see people stopping over there all the time. The traffic gets clogged up over there sometimes because of all the pictures getting taken,” Alisa Godejahn, Max and Quackers’ neighbor, said. Can you handle more cuteness? A story from Reddit takes the cake. 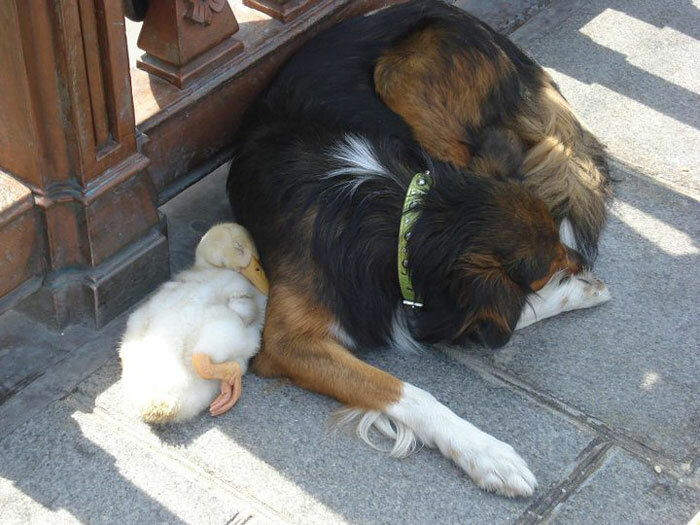 A Reddit user called gmwdrumbum posted a photo of a dog and a duck napping together in the streets of Paris that they had taken 4 years and 2 months ago. Another Reddit user, bettythedinosaur, saw the photo and was in for a shock! 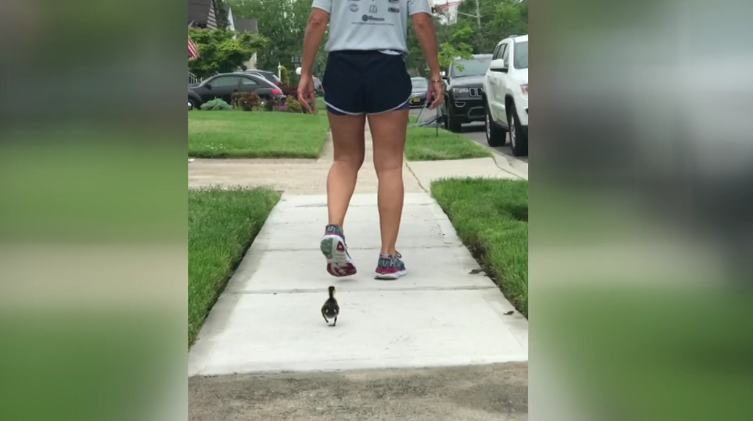 She realized that she also had taken a photo of the exact same dog and duck duo. This also happened four years ago in Paris. 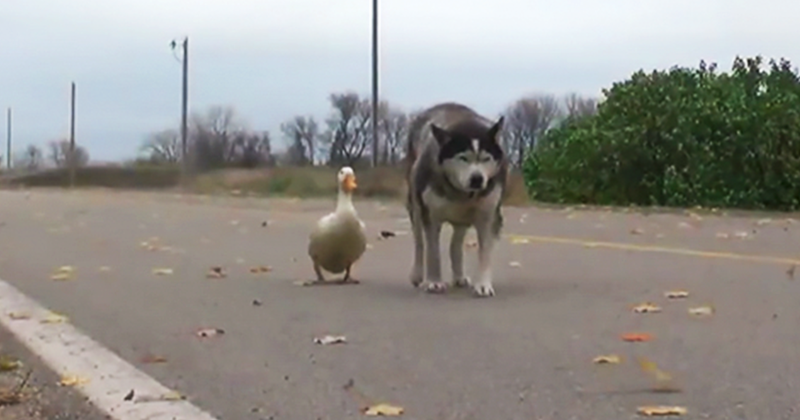 It just goes to show that unusual friendships are more common than we think.